With the way the weather has been lately, you’re going to want to spend a lot of time soaking up the sun this summer! Is your outdoor living space ready? If the answer is no, you’re in luck because we’ve got solutions for you at Meek’s! In the past, a simple square deck would have you covered, but why keep it basic when you can upgrade and customize? Think of your deck as an extension of your home. It is it’s own room and it should be decorated and designed to fit your needs. Take your standard deck project. You can jazz things up by simply switching out the type of railing you’re using or swapping from one deck material to another. 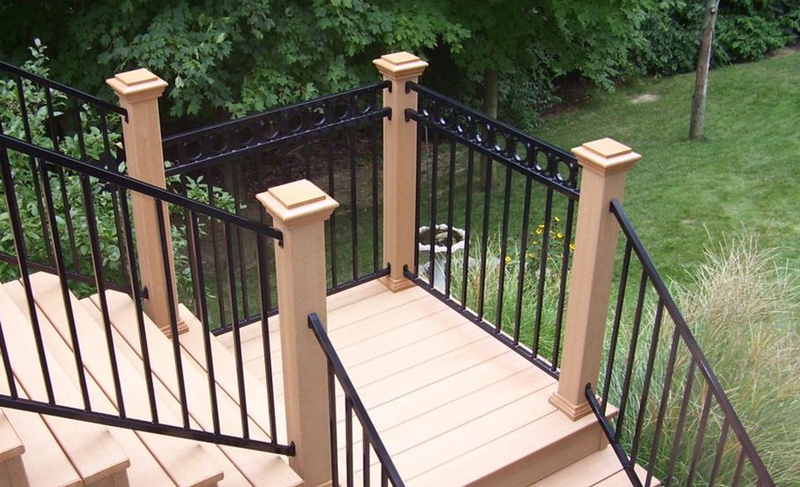 For example, you can install a capped composite deck in a variety of colors and take it one step further by adding cable railing. The end result is a clean, contemporary deck that’ll be built to last. If you’re looking to spend a lot of hot summer nights on your deck, you can add a little nighttime ambience and a whole lot of safety by installing some lighting. With low-voltage and solar lighting available, the possibilities are endless. 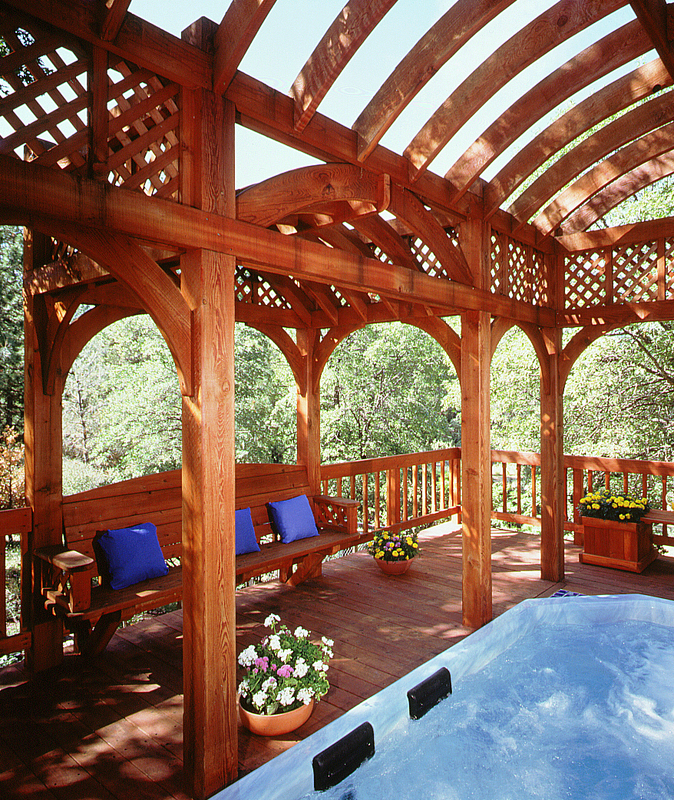 If you already have your deck in place, but you’re still looking to upgrade your space, adding a pergola can take your space from drab to dreamy! Plus, you can build a custom fire pit for s’mores and bonfires. So, whether you’re looking to refresh your old deck or build something new from scratch, we’re here to help! Stop in today and get your space ready for summer!